It has been a busy couple weeks at the Capitol. Now being on the new job for about two and a half months it is disappointing to see the lack of progress on the state budget, however I remain optimistic that both sides will be able come together sooner rather than later. Despite the impasse, my office and I have been working hard to represent the families of the 117th District. This includes setting up advisory committees, announcing grant money for local cities, and passing new legislation. Here are the highlights from the last couple weeks. Last Friday, I kicked off my advisory committees with an introductory meeting at John A. Logan College. We had a great turnout! More than 100 leaders from various different disciplines showed up to take part in the event. We have established committees for Agriculture, Energy, Education, Tourism, Business, Veterans, Clergy, Law Enforcement/First Responders, Healthcare/Human Services, and local Mayors. Being able to receive reliable feedback from constituents is crucial to my position. My hope is that regular meetings with these committees will show me how I can be of better service to the 117th District. On Monday, Senator Fowler and I attended a joint luncheon with the Benton-West City Economic Development Corporation and Franklin County Hospital. This included a tour of Franklin County Hospital. I enjoyed getting the chance to seeing the fine people in both these organizations and learn more about the good work they provide for Franklin County. 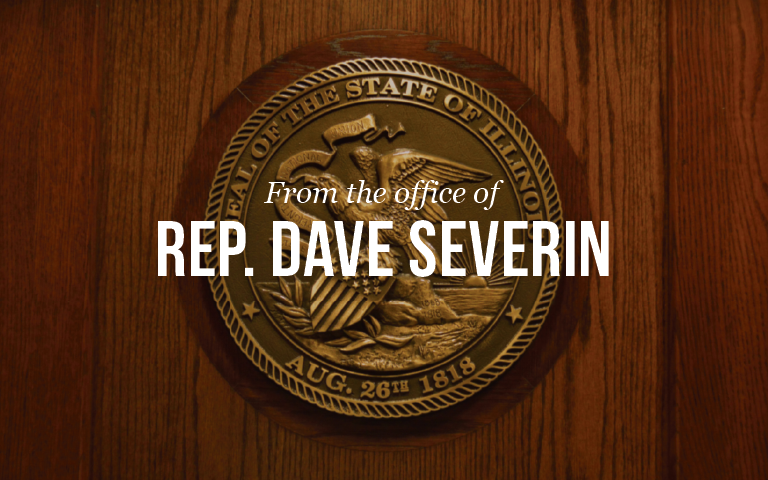 On Wednesday, I was able to pass my second bill through the Illinois House of Representatives. This bill would establish cycling as Illinois’ official state exercise. The goal of this legislation is to show how cycling is a low impact exercise that welcomes people of all shapes and sizes and to highlight all the great bike trails Illinois has to offer. Below are links to all the health benefits of cycling and all the bike trails Illinois provides. My office in Marion is staffed Monday through Friday, from 8:30 am to 4:30 pm. You can email me through the Contact Form on my website at www.repseverin.com. My staff and I are here to serve you! So please feel free to share your opinions with us.